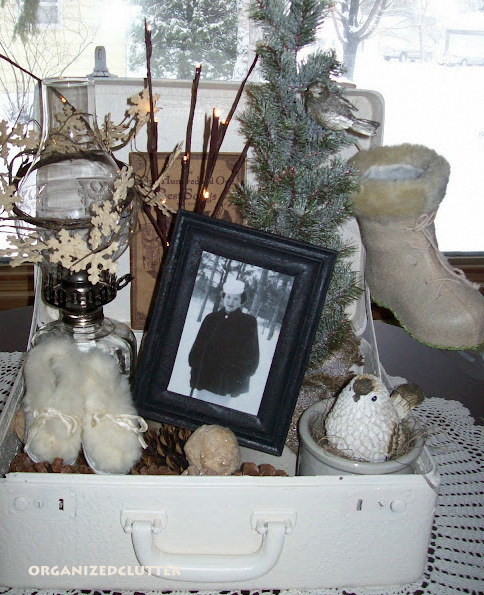 Do you remember my white suitcase vignettes from any other holidays? 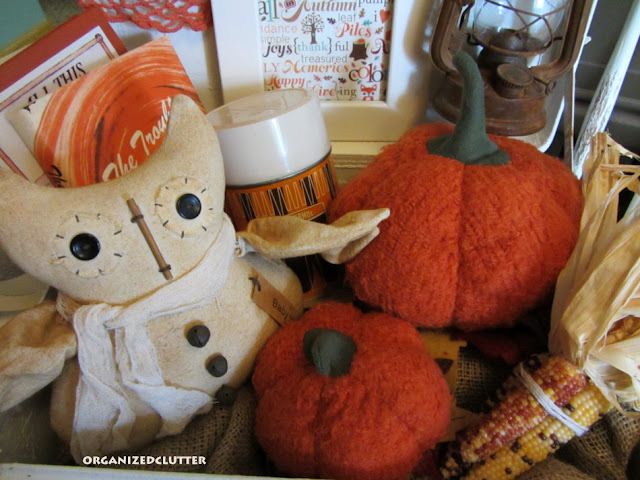 Today, I am sharing a "Fall Suitcase Vignette" with a framed sheet of scrapbook (subway art) paper, a rusty mini lantern, two hardcover orange books, an orange doily, an orange vintage thermos, mini Indian corn, a primitive owl, and two stuffed cloth pumpkins, all sitting on top of folded burlap. Not sure where I am going to put it yet! Carlene, I love it! 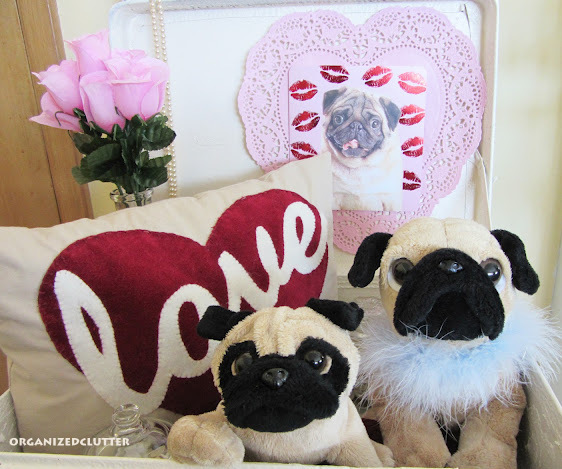 This is such a fun & happy vignette. I see you've been having a good time with this suitcase throughout the year. This is adorable! 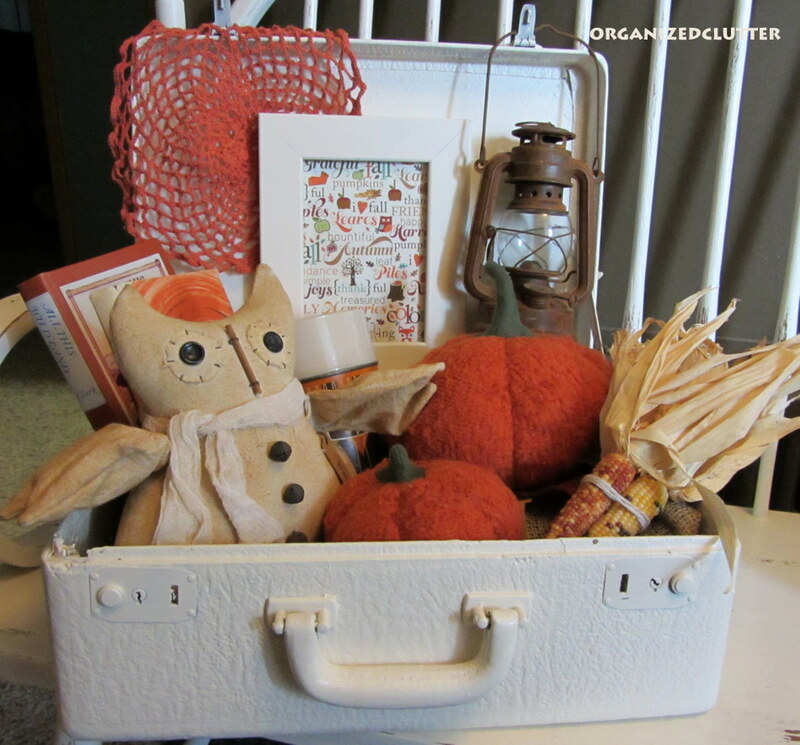 I loved seeing all you suitcase vignettes. What a fun thing to change out each season! CUTE!!!! how cute! Love that owl! I have a very small suitcase...did you paint yours? 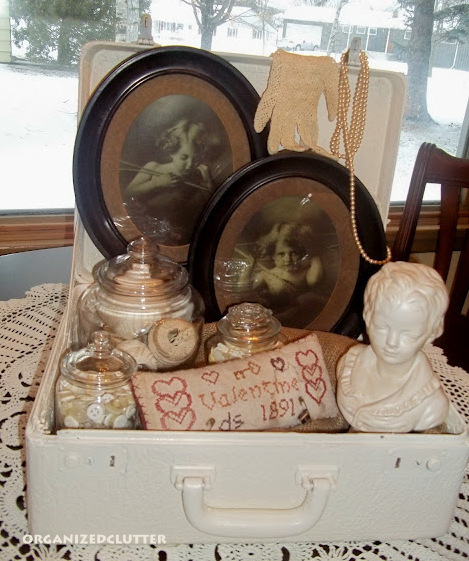 Beautiful suitcase vignettes! Love the thermos in the fall vignette. Great job! You sure have been able to get a lot of mileage out of this painted case. Love all your beautiful vignettes! This is has got to be the most used suitcase in the universe. You are so creative at staging the seasonal items with the case. I believe that white suitcase wants to come live with me! So cute how you have used the case for all the holidays. I have an owl just like yours. 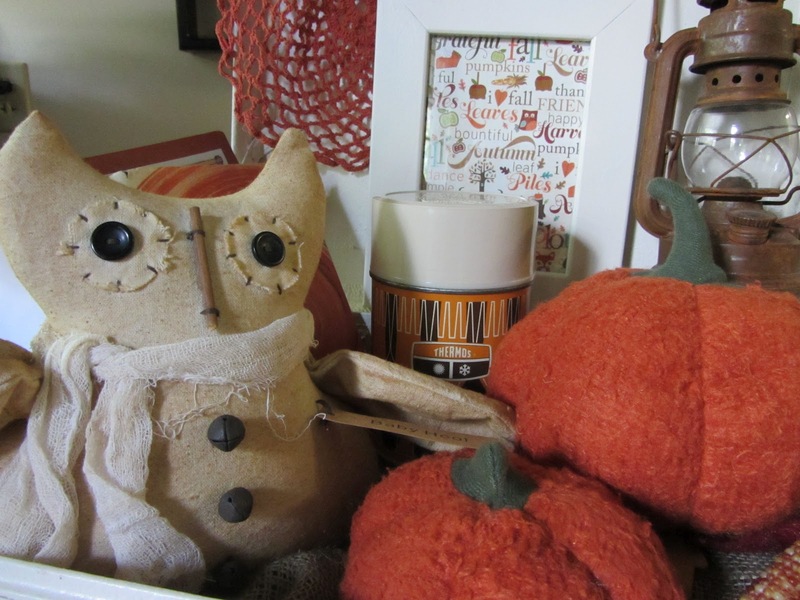 So loving it, love the pumpkin, thermos, lace, AND I really love the owl. 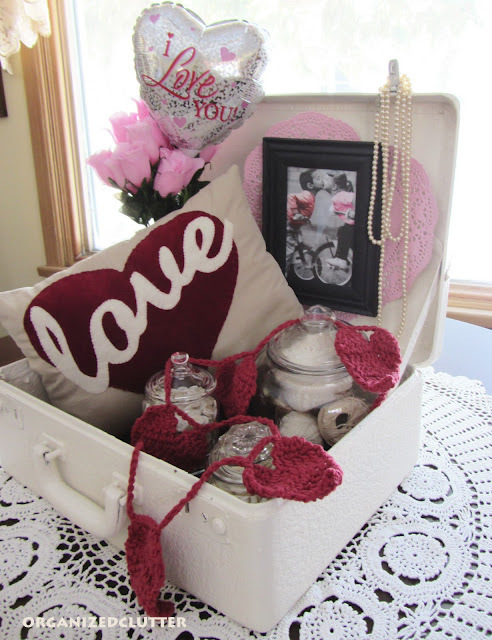 You scored and use the suitcase in the best vignettes. Did you paint it? If you tired of the white suitcase can I have it please, and when you ship it to me include the owl! Thanks for sharing your creative inspiration with Sunday’s Best – you helped make the party a success! My goodness, your little suitcase is so versatile and definitely brings out a Fall feel! Each and every one of the vignettes are adorable. 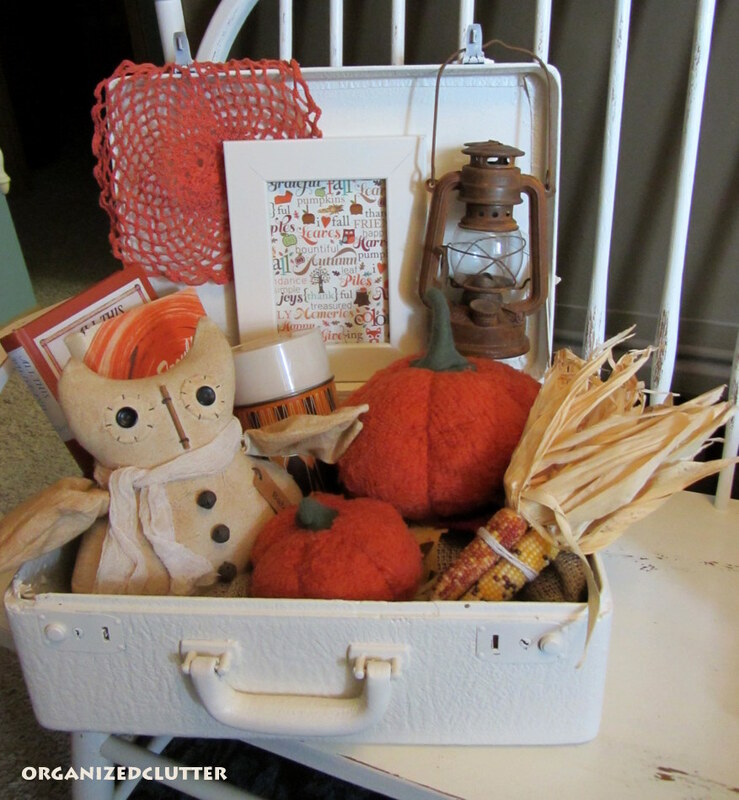 Love the corn, the lantern and that thermos, and that you added a couple of books to this one. Would like to see where you end up putting this. I love the white paired with the fall colors. It really accentuates the intensity of the fall hues! 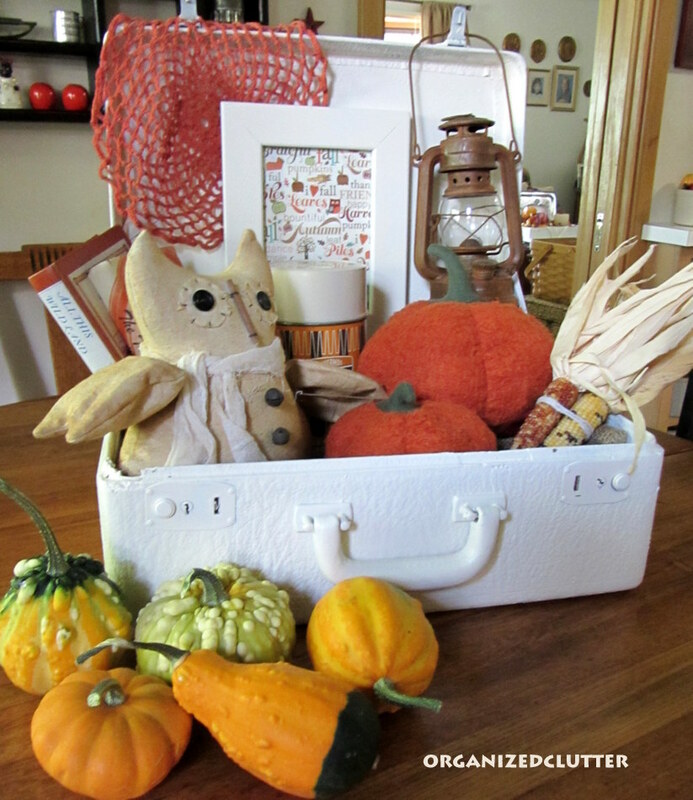 Your fall suitcase vignette was my favorite. I pinned it! I am a new follower. 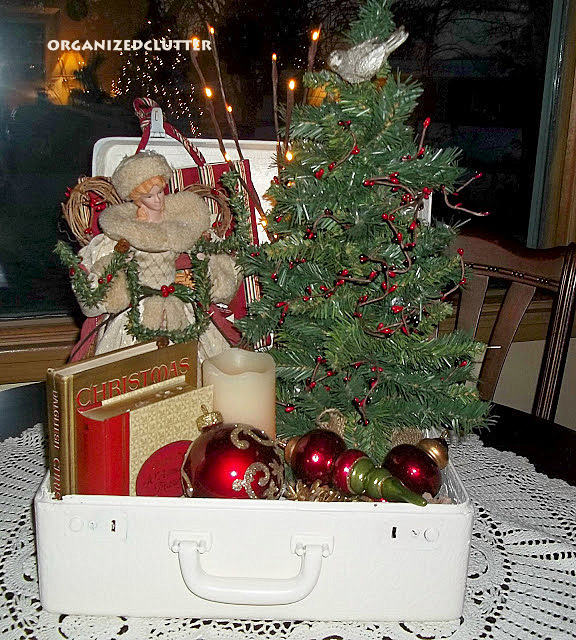 Love your suitcase and all the treasures it holds holiday to holiday! 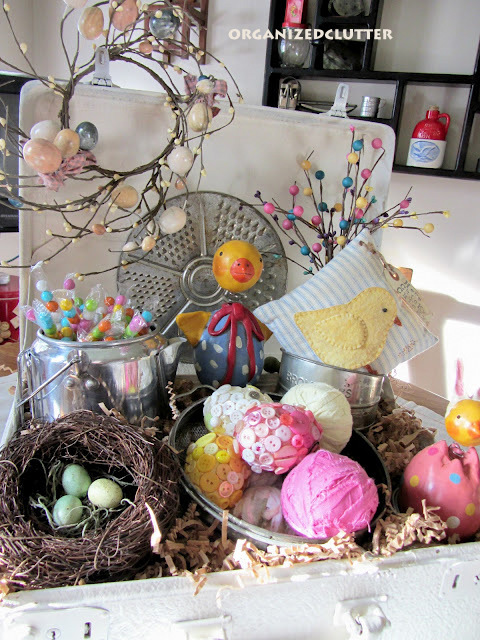 How fun to have something that you can decorate seasonally and change the look of so much! I love it and that owl is sweet! Did you make it? Wow Carlene, I'm so glad that I'm following you! I love your vignettes! Thanks for posting the winter one, I always struggle with decoartions after the holidays. You gave me some great ideas, I appreciate it! I would say you get a lot of mileage out of your suitcase. I have 3 little ones I'm going to have to think about using more creatively! Love the owl and pumpkin. This suite case concept is new to me, but I like it! Such a super cute idea! I'm so glad it's Fall, I can hardly stand it! Thanks for sharing at The All Star Block Party! I MIGHT steal it! :) Seriously, I'd picked up a wicker picnic basket set at a garage sale this summer. The deal was so good I even did a post on it. Maybe I could do a fall display in it ? I will have to think about that / it might work! What a fabulous idea! I enjoyed seeing all of your vignettes! 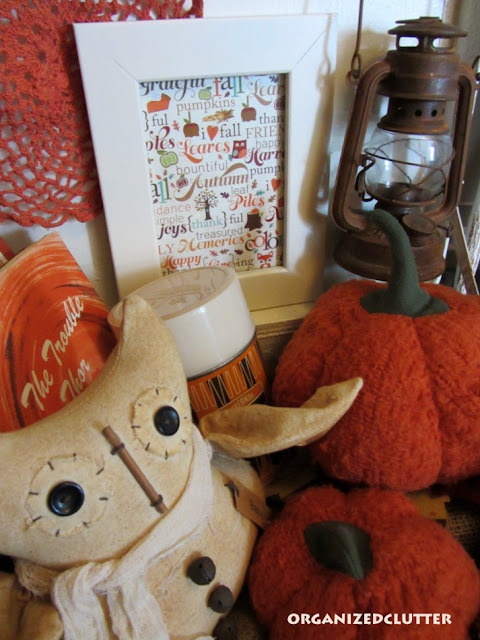 The big owl and orange pumpkins are so neat! You've given me some ideas! Happy Fall! Oh my gosh that is perfect. You have such a knack for display. I love the little thermos in there. I am a big fan of them and owls.